There’s no denying in the fact that technology has become an essential part of our lives. From smartphones to self-driving cars and wi-fi everywhere, automated systems and delivery drones, smart tech is an integral part of one’s existence in the 21st century. As consumers, we welcome anything that makes life easier to navigate, which is why the introduction of technology in interior design makes all the sense in the world. It first started with some hotels which were redesigned with tech-savvy clients in mind to include charging docks, smart TVs and lighting, wi-fi and removing the reception hassle for guests to do their own check-in via iPads. Just like the iconic St.Pancras Renaissance Hotel in London once introduced the electricity to its luxury interiors, hotels have always been at the forefront of design and are the ones who implement and foster new technology to the domestic environments. That was just a few years ago and we’ve come a long way since. Today, technology is present in most, if not all manufacturing processes for furniture, lighting and home accessories. Some of our brands have come forward in 2017 with some very interesting tech design concepts, as well. 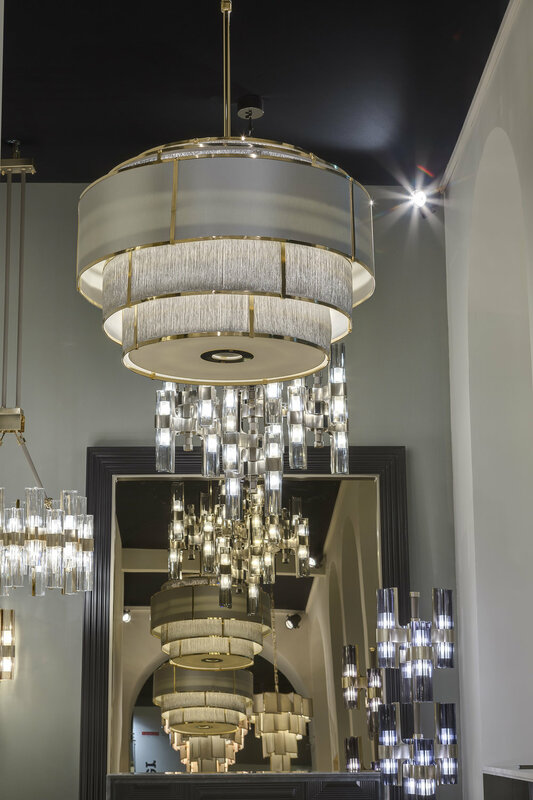 For example, Officina Luce launched their Contract Collection, where loudspeakers are built inside the lighting objects and installations, bringing their already exquisite design to a technology-friendly level where the sound comes out of ambient lighting and can be easily controlled via remote. The Contract Collection came as a response to an emerging generation of young buyers who love the quality design and flawless craftsmanship but also appreciate systems built to facilitate one’s art of living. 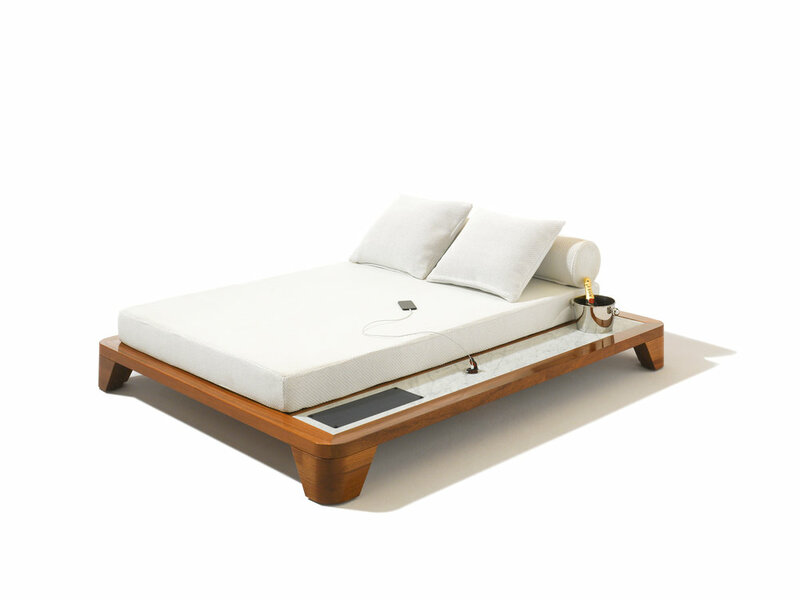 Seora’s loungers come with inbuilt solar panels and phone charging stations, making them perfect for anyone who has had to wander up and down a beach looking for a socket somewhere, or anyone who’s tired of carrying portable batteries around, just in case the smartphone or tablet battery drops. If anything, this eco-friendly and perfectly sustainable solution makes Seora into one of the leading design brands of the 21st century, particularly where outdoor and beach furniture is concerned. You can now soak up the sun alongside your phone while enjoying superb comfort on one of these gorgeously stylish loungers. The Italian company was founded in 2012, deriving from a company renowned for its marble workmanship. As expected, Dedalo Stone does not fall short as far as marble interiors are concerned – if anything, they’ve made a habit of raising the bar even higher. The company combines the expressive strength and elegance of marble with contemporary design, using a technology that its founders have developed and patented. Because of this highly advanced production process, Dedalo’s marble products are 65% lighter than most massive marbles of the same shape and size, making installation simpler and easing the logistic process. It’s truly innovative to have a home clad in stylish and sculptural marble that is light and yet as durable as the regular solid stone. During our visit to Holiday House London in the beginning of November, I came across yet another fascinating technology - LED Wallpapers. 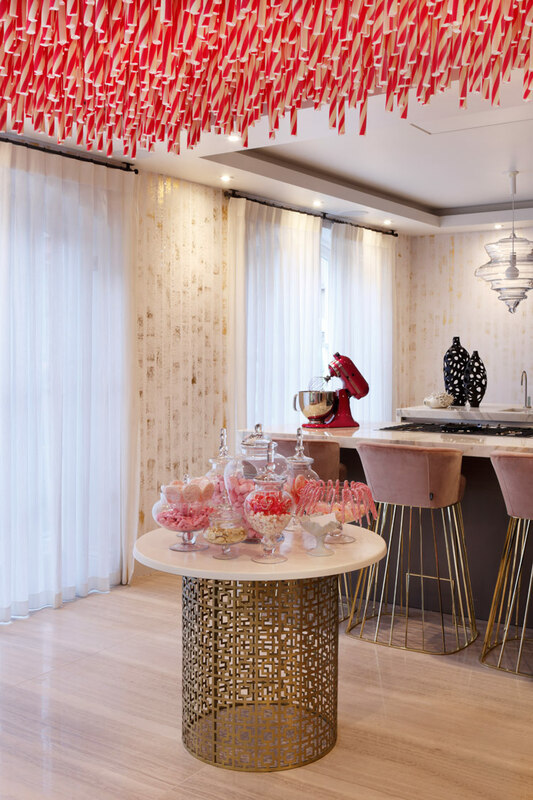 Installed in a breakfast media room it supports the idea of a total sensory experience that the founder and the leading interior designer Susan White of Iggi UK showcased in this room. Discovered by Meystyle LED Wallpaper technology allows adding another layer of visual inspiration to a wall. As you can imagine every LED light is fit by hands making the whole process bespoke. Designers can literally change every aspect of it, moreover, a completely unique design can be produced by using luxurious materials: natural silks, metal mesh or Swarovski crystals. Perhaps one of the quintessential examples of technology introduced to interior design comes in the form of VIMAR’s home automation systems, stemming from years of ground-breaking research in a constant pursuit to make each residence into an eco-friendly yet super-intelligent haven. The By-Me system makes it possible to automate one’s home by managing climate, safety, communication and comfort in a simple and integrated manner, assisting with the energy-saving efforts and overall well-being. From the By-me home automation device it is possible to manage and control the switching between the outside lights, to see who is at the door (function video door), set the irrigation of the garden, activate and deactivate the burglar alarm system. Life is certainly easier when everything can be efficiently controlled from a single, central device, don’t you think? The one thing we do want to keep track of is the speed with which technological advancement outpaces the natural cycle of refurbishment, making it extremely important for interior designers to stay away from hard-wiring tech into design structures. Anything that is fixed can quickly become outdated – after all, just look at the speed with which smartphones and home appliances have developed, turning yesterday’s science fiction into our current reality. By using flexible, mobile or easily-fixed solutions, designers can prevent high replacement costs. Either way, we look forward to seeing how technology can further be embraced and seamlessly integrated into design schemes to improve both work and home environments. So stay tuned! 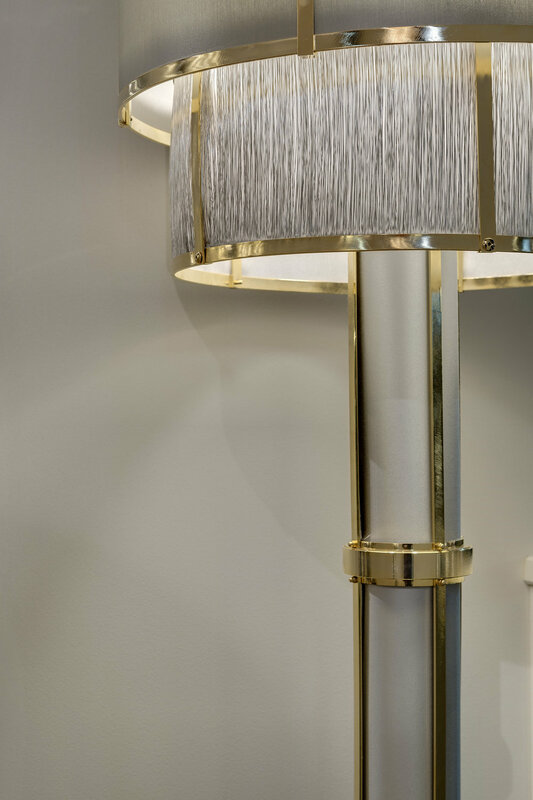 Find out more about the wicked technology that our Officina Luce, Seora and Dedalo Stone brands use, and get in touch if you’d like to bring their stylish and smart designs into your home.